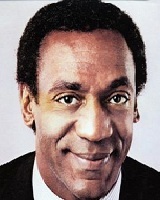 Bill Cosby 12 July 1937 American William Henry Cosby, Sr. Anna Pearl Cosby Screenwriter, Film Producer, Film director, Film Score Composer, Activist, Educator, Television producer, Voice Actor, Television Director, Comedian, Author An American stand-up comedian, actor, and author. He start in stand-up comedy began at the hungry in San Francisco and was followed by his landing a starring role in the 1960s television show 'I Spy'. A list of popular Hindi Bill Cosby quotes are given below.